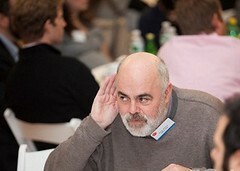 Econsultancy’s Peer Summit: What we learned. media, user experience and site optimization. and large decision-making is still an uphill battle. According to keynote speaker Marc Schiller, CEO of Electric Artists: “People would rather have a conversation with a person than a brand.” He was talking about customer service and social media, but as the day went on, it was easy to see those words in action. Representatives from all sort of brands that might not meet online were exchanging ideas, problem solving and sharing best practices. But going about finding the proper metrics was a recurring problem for many marketers working at large firms. That, however, is easier said than done. And a good reason why the measurability — and lack of efficient measuring tools — still frustrates so many of the Peer Summit participants about their jobs. But getting a day to discuss and problem solve was a bit hit with a lot of the people I spoke with. And without the intermediary of brands looking to sell their services, many people enjoyed our open discussion situations — though was a new event format for many. Members of social networks often share advertising content without earning any reward. 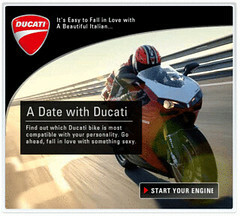 But Peer2.com is looking to change the incentive system for social ads and they’ve enlisted Ducati in their newest ad campaign. The new advertising campaign involves a (hopefully) viral ad that lets users “Win a Date With Ducati” and answer a set of personality questions that pairs participants with the proper Ducati motorcycle. 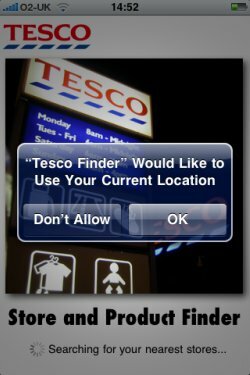 Supermarket giant Tesco has just released its first iPhone app, which allows users to search for their nearest store, get directions, and look through the product range. Which auto websites are getting it right? A study of automotive website usability has named the Audi website as the best by a manufacturer, with Volvo and Mini the runners up. The eDigitalResearch study was commissioned by Auto Trader, and looks at various features of car websites, including selector tools and customer service options.